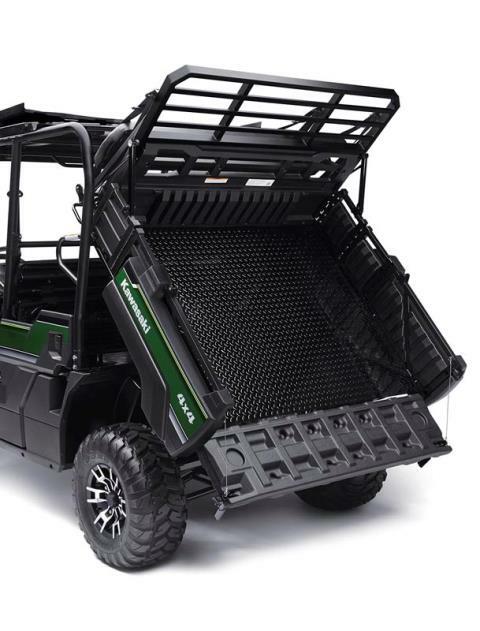 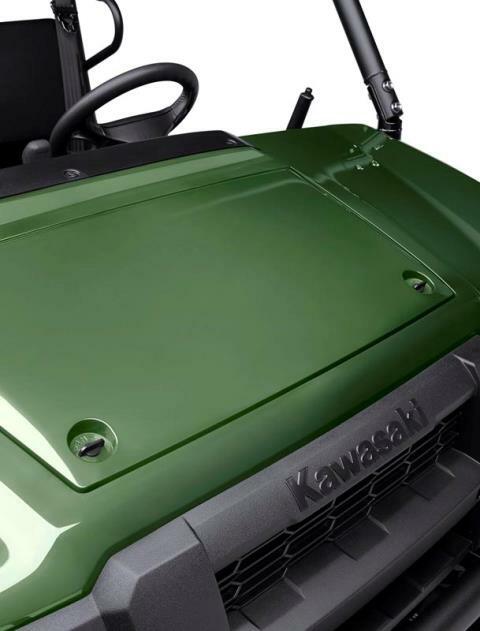 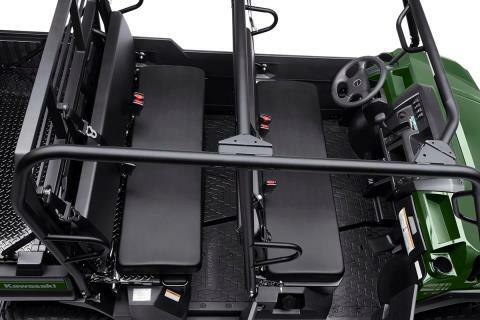 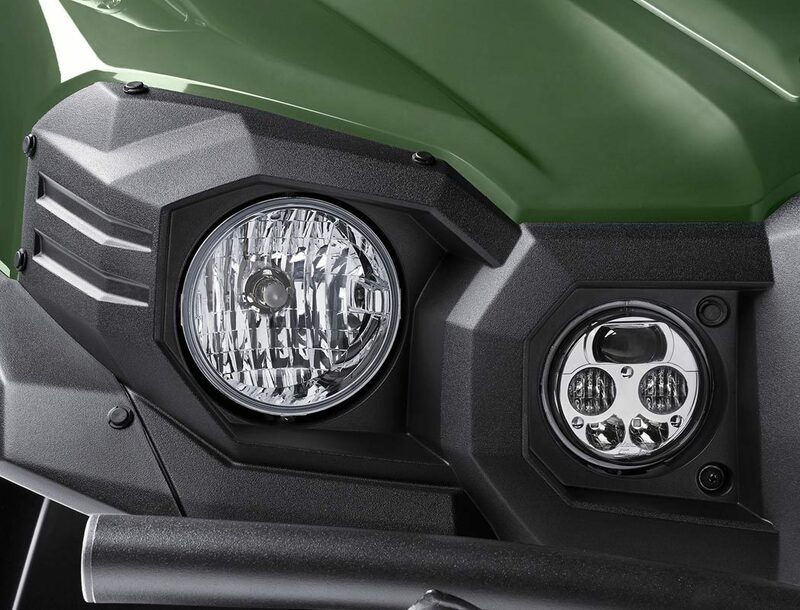 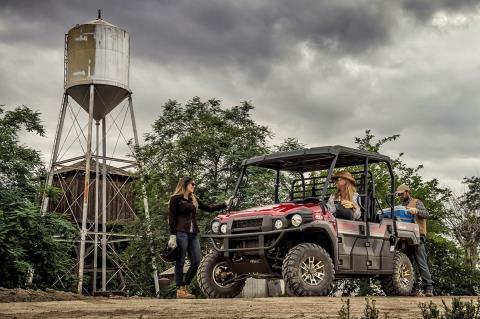 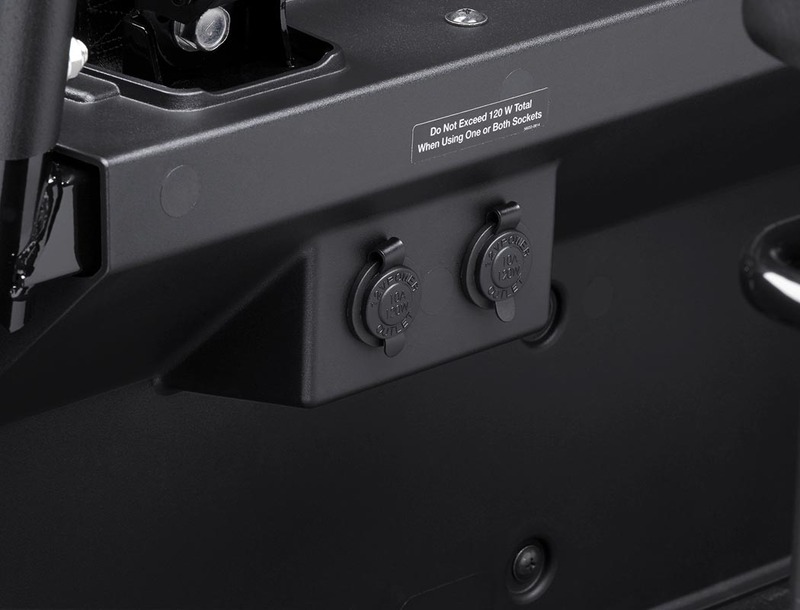 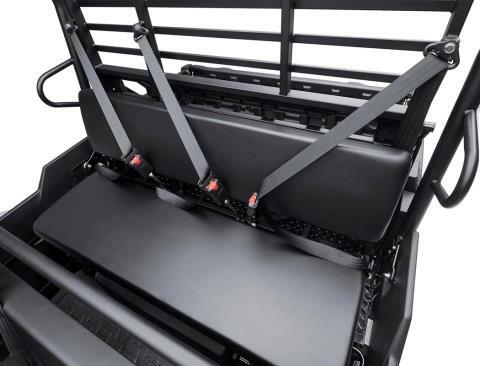 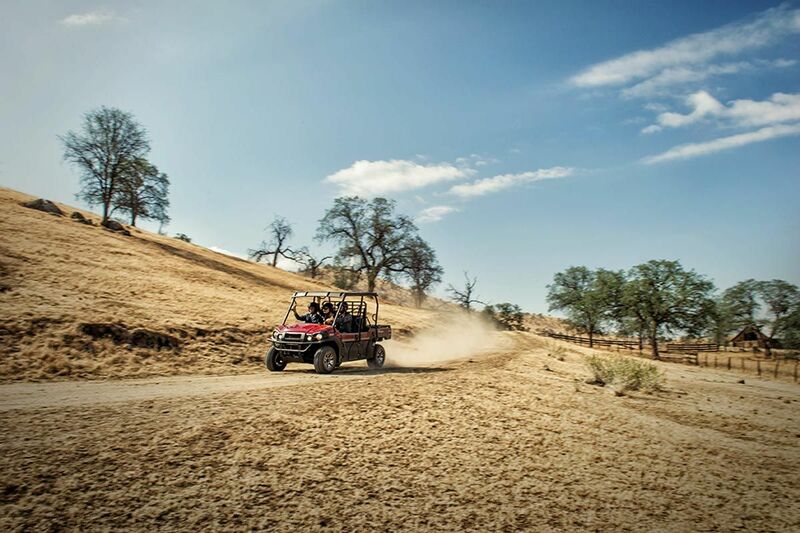 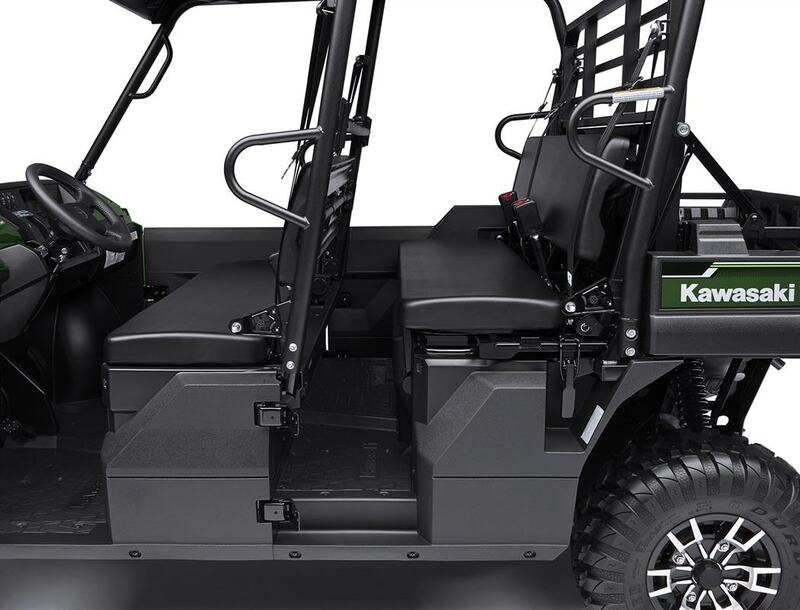 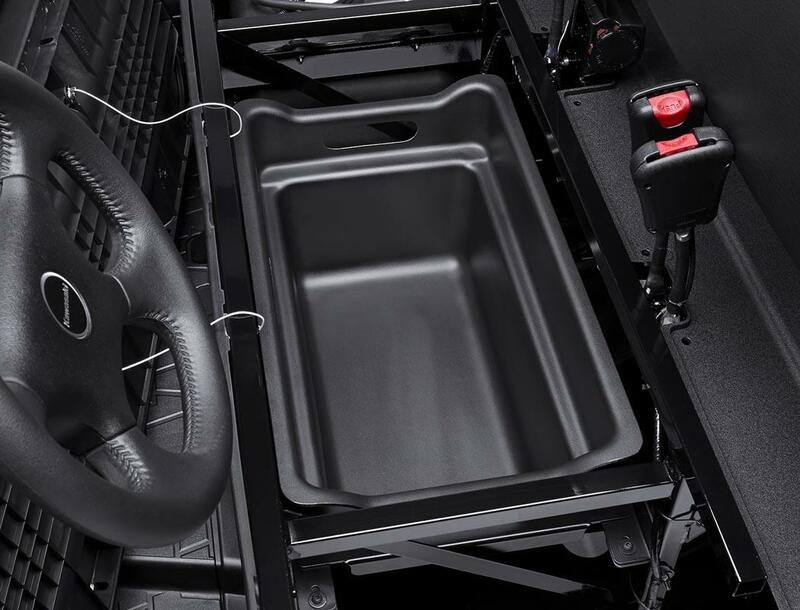 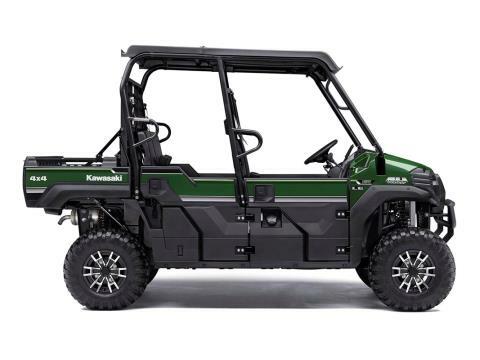 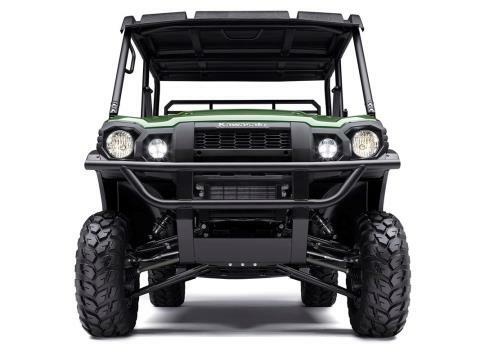 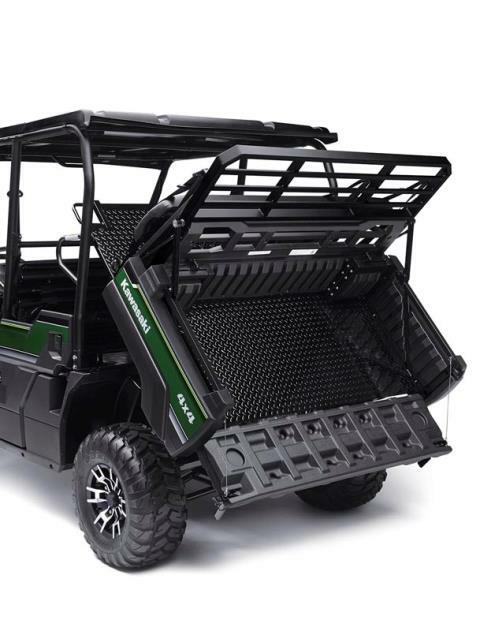 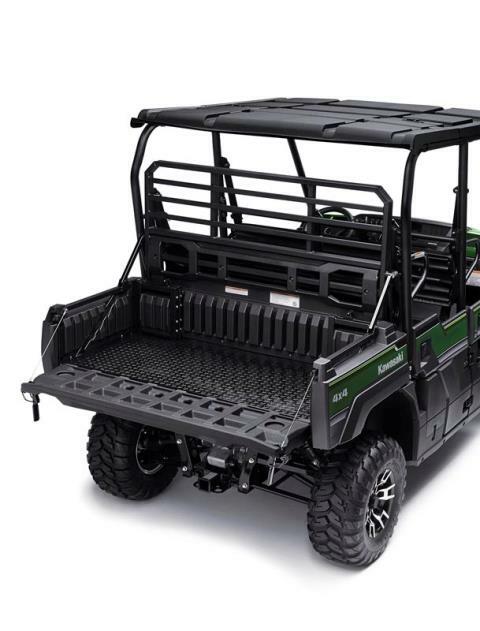 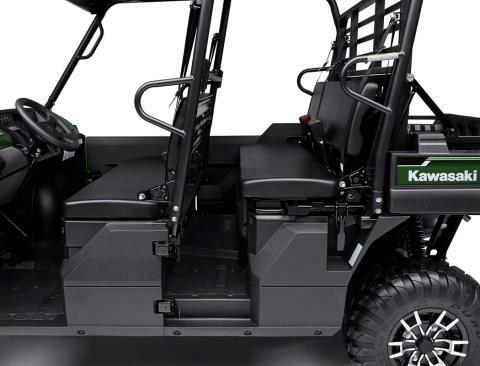 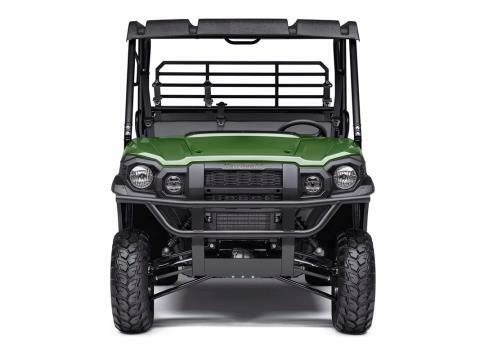 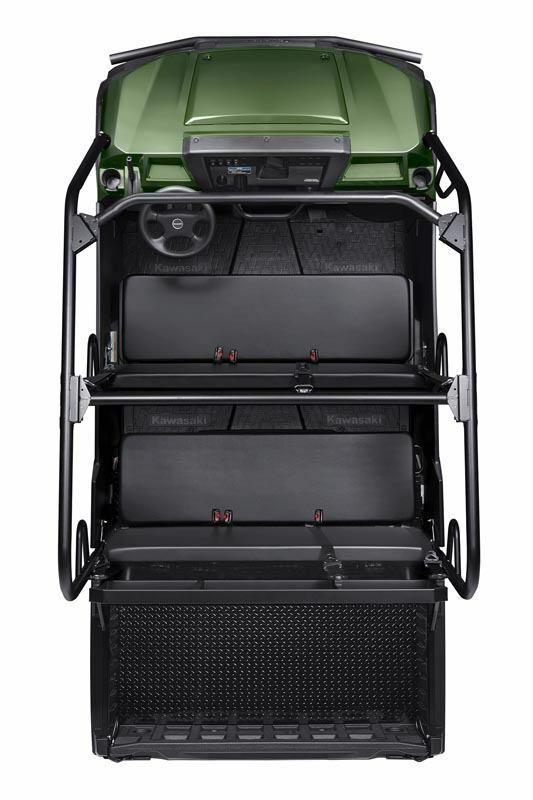 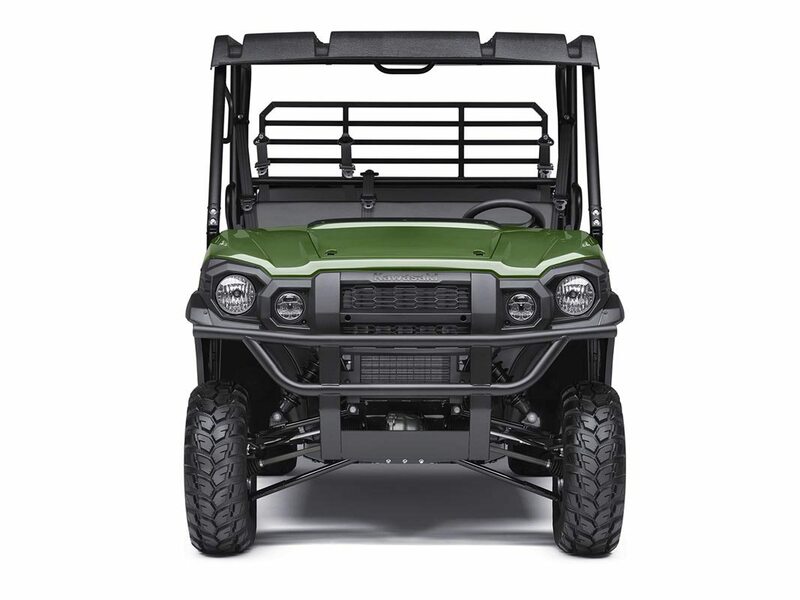 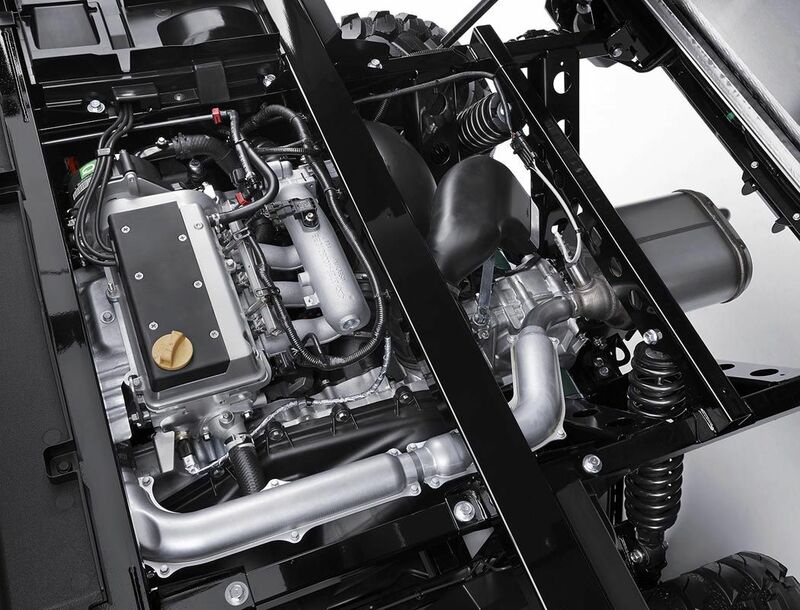 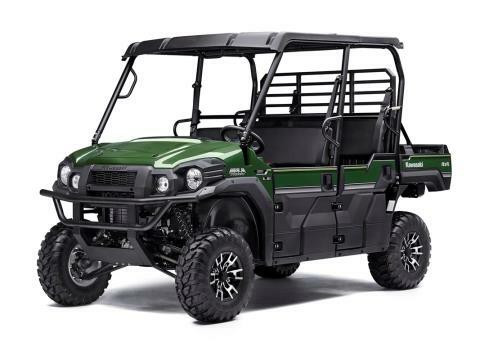 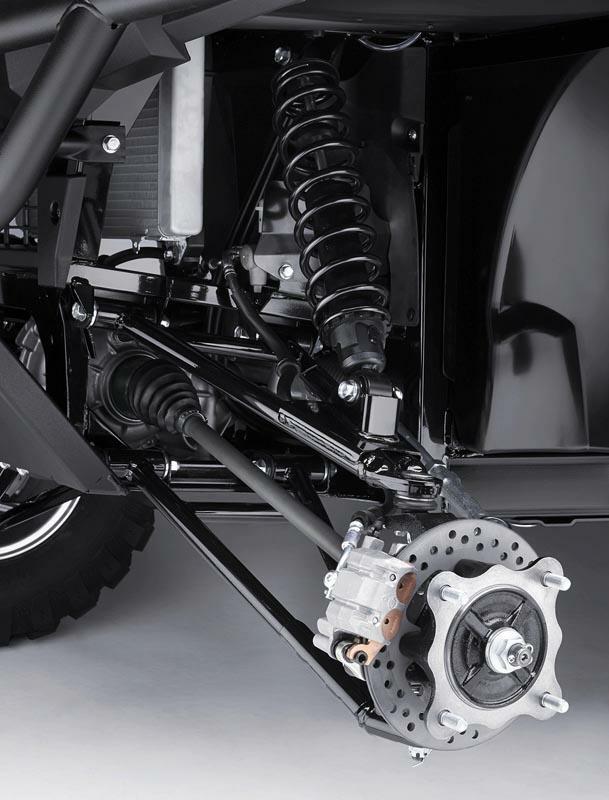 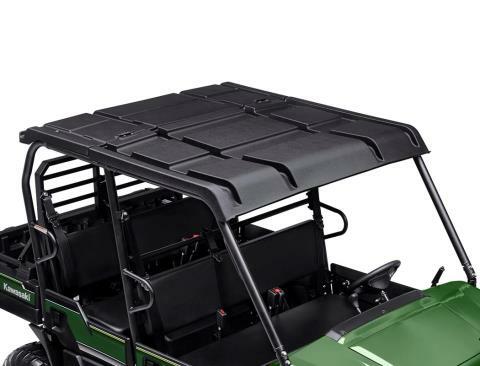 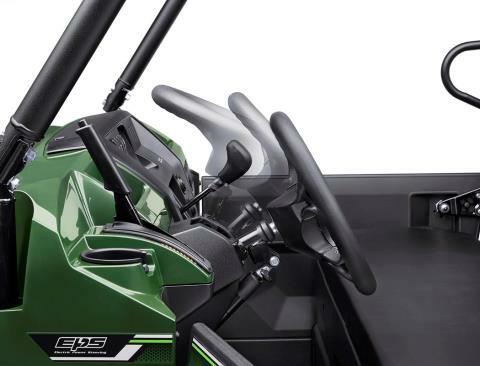 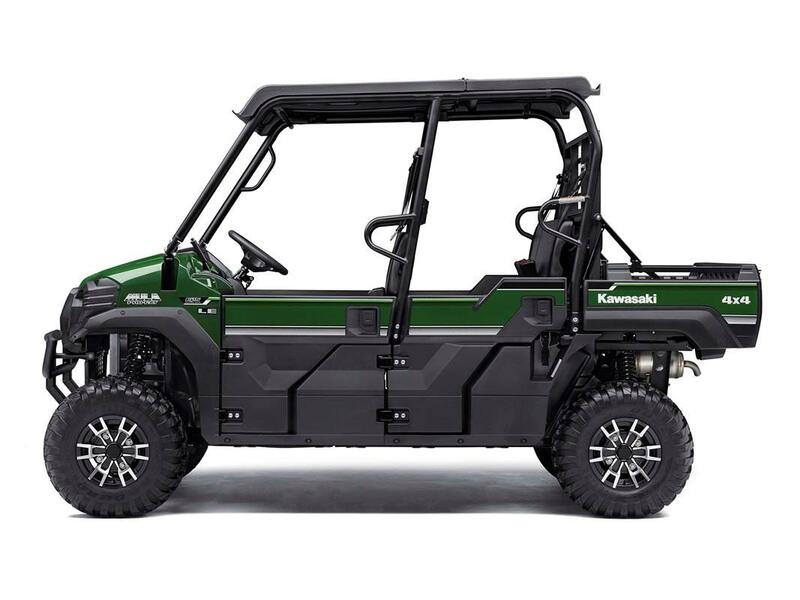 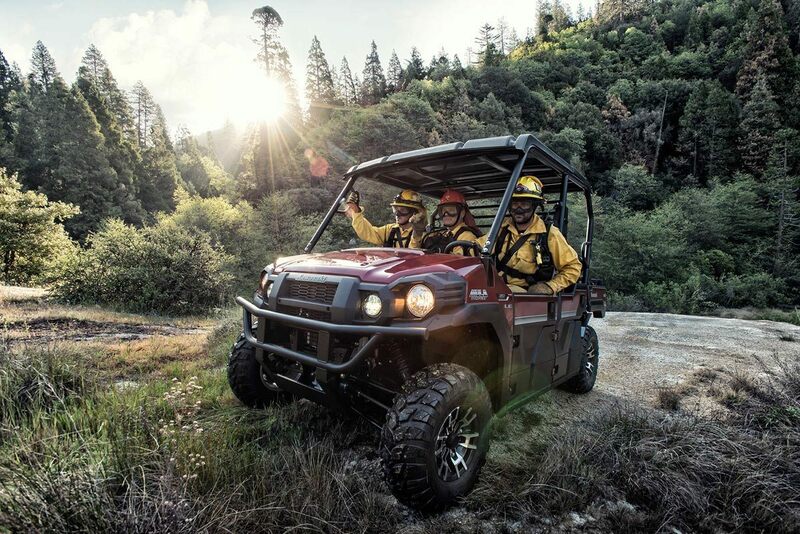 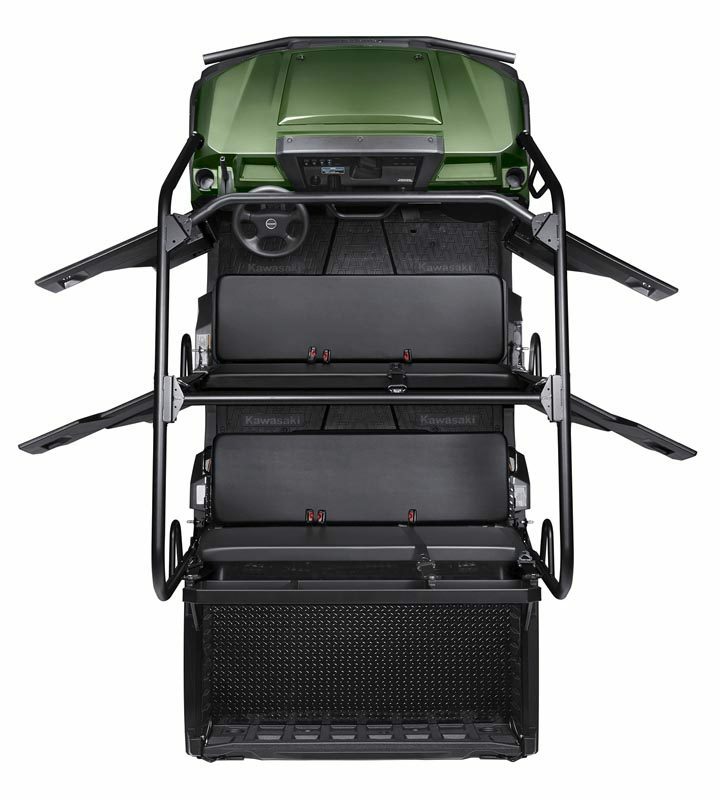 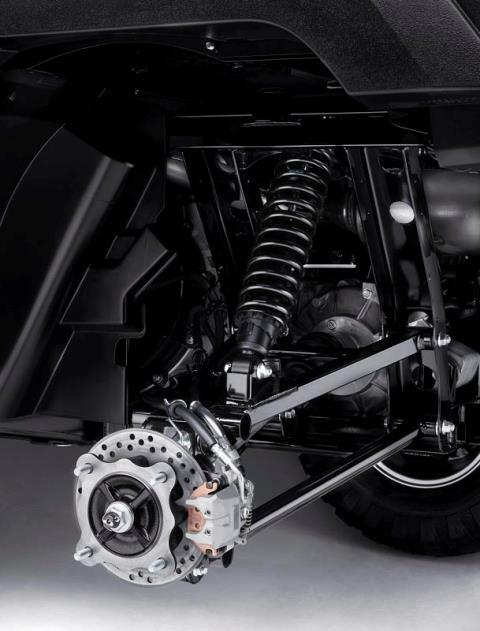 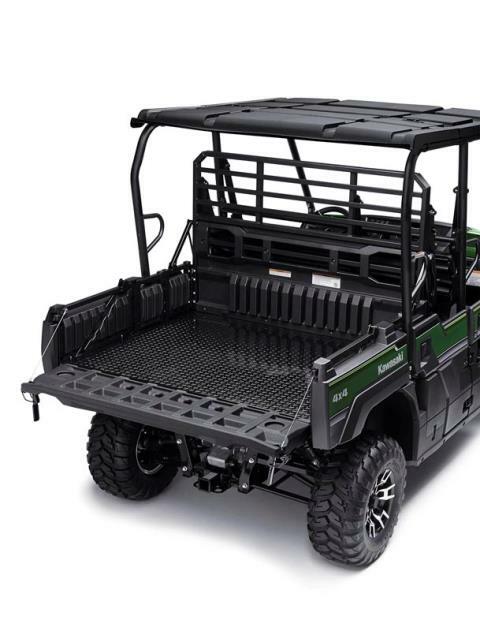 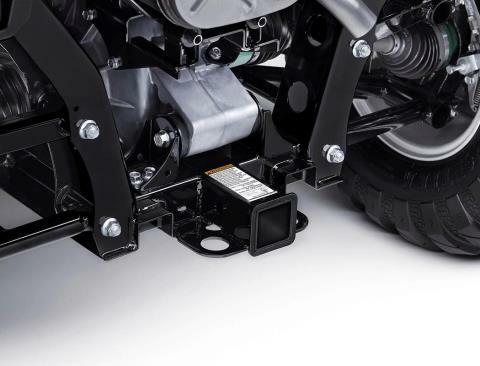 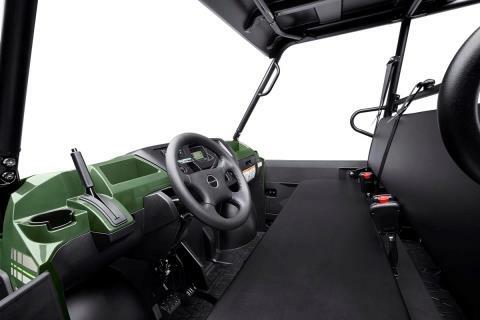 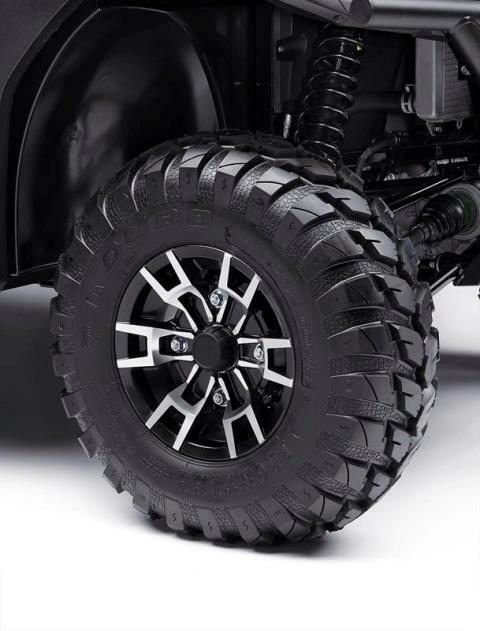 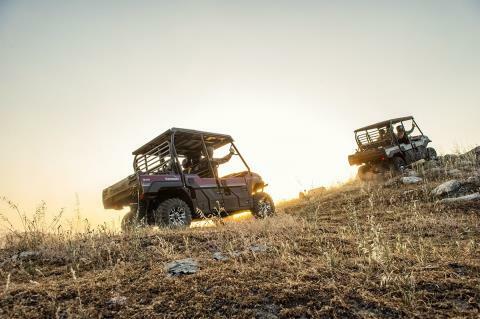 The new 2016 Mule PRO-FXT™ has incomparable strength and endless durability backed by over a century of Kawasaki Heavy Industries, Ltd. engineering knowledge. 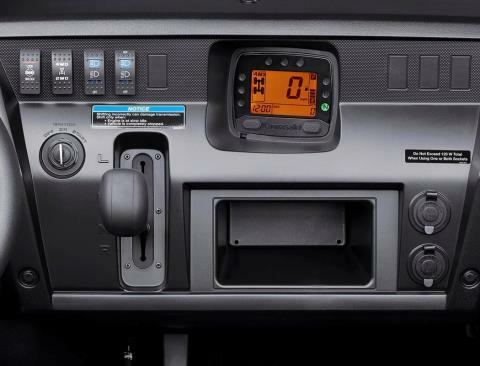 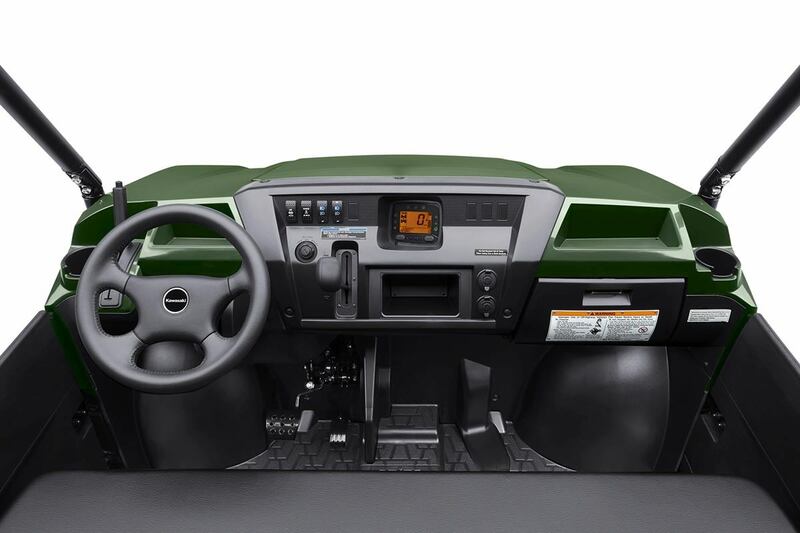 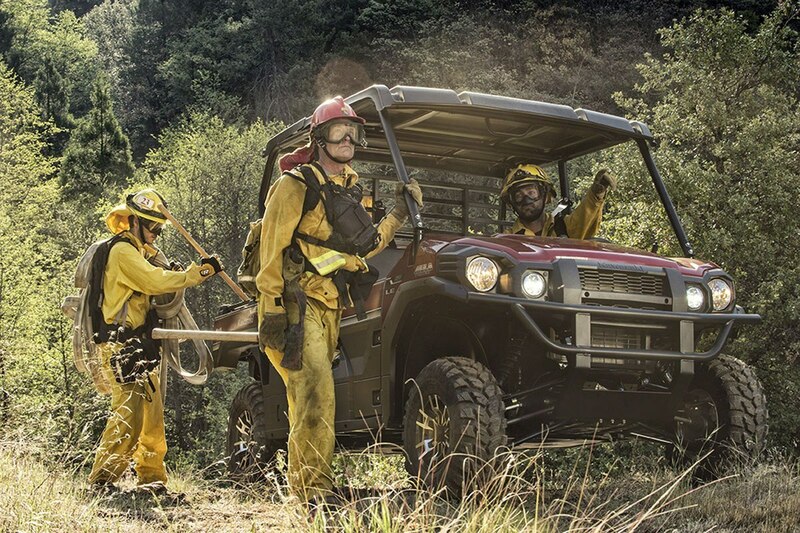 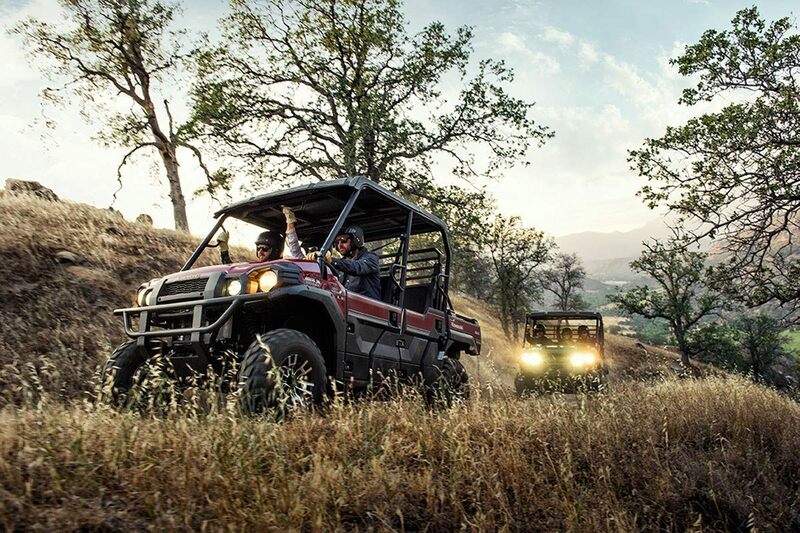 Go and get the job done with the PRO FXT's three-passenger Trans-Cab™, or easily convert it to six-passenger mode for a revolutionary new way to work and play. 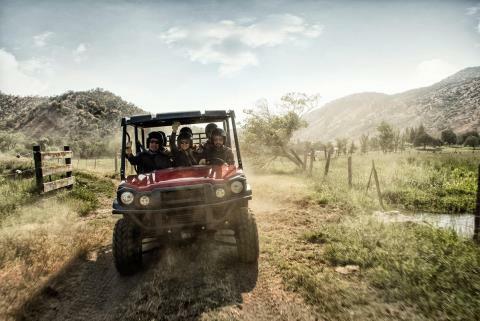 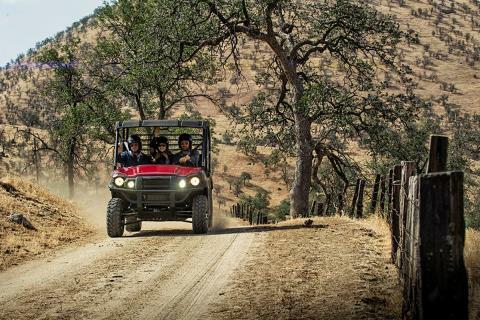 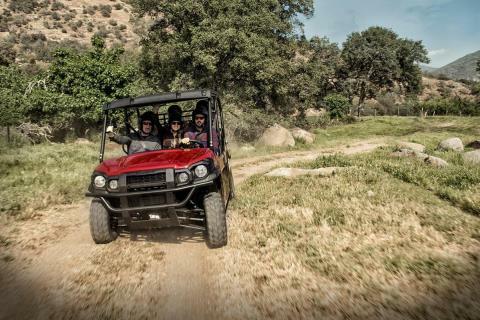 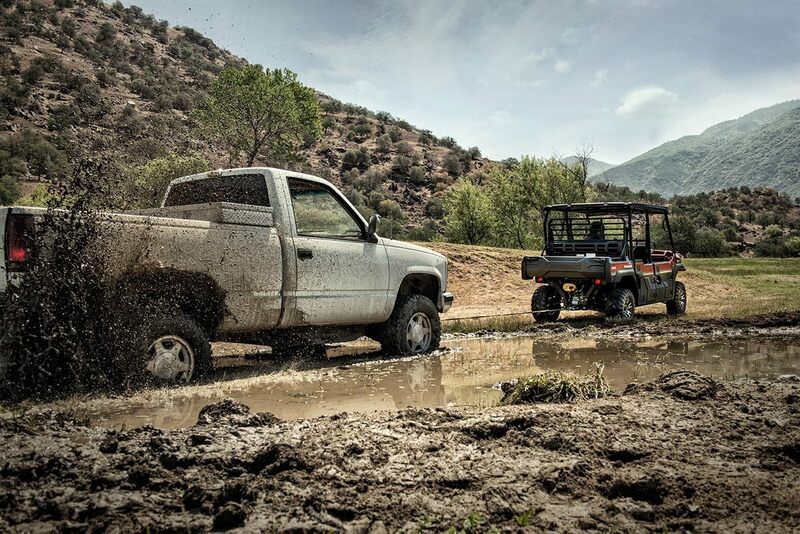 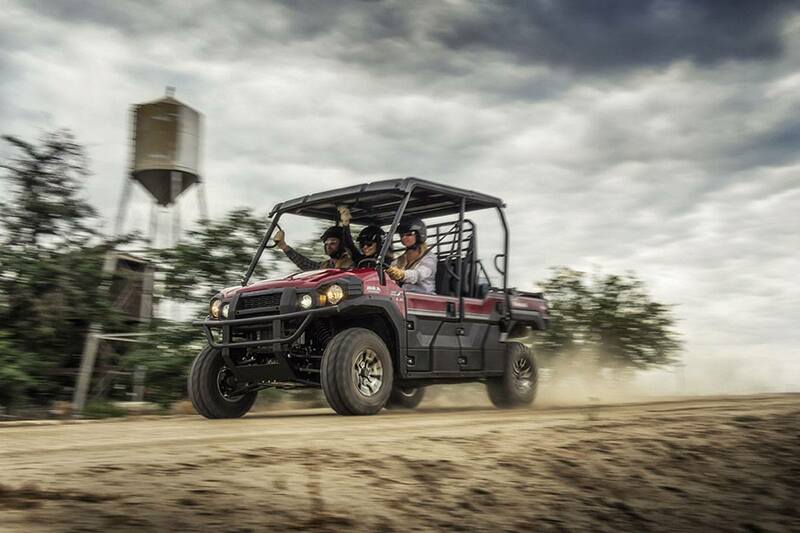 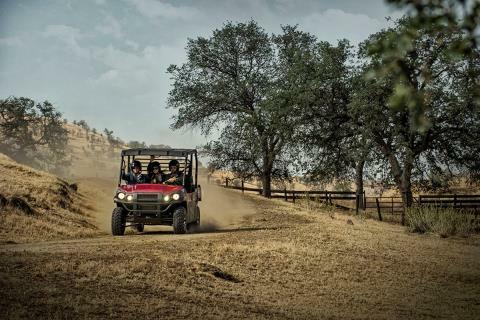 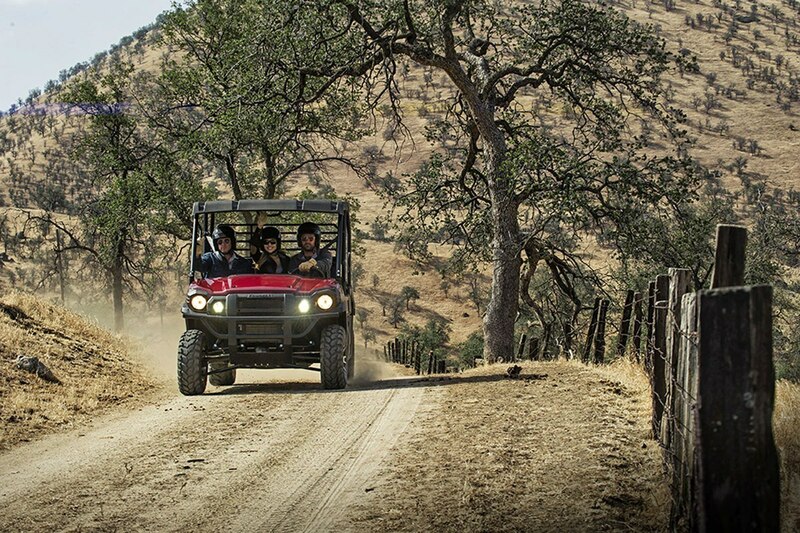 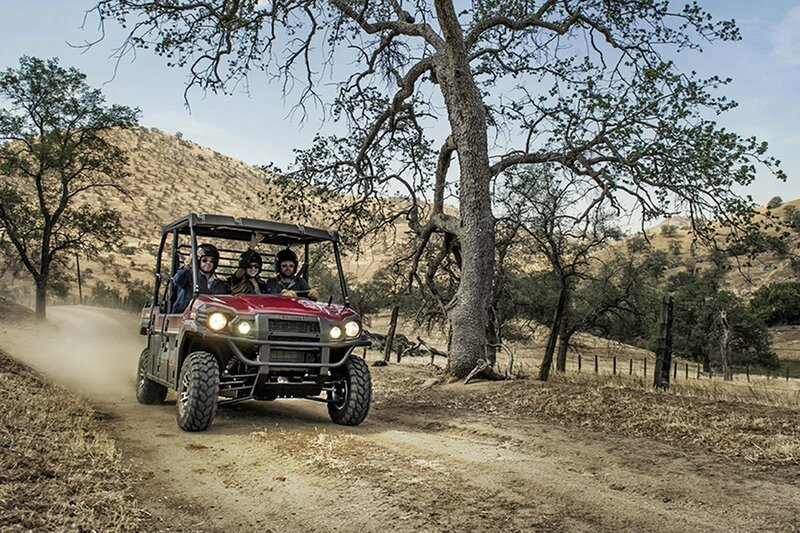 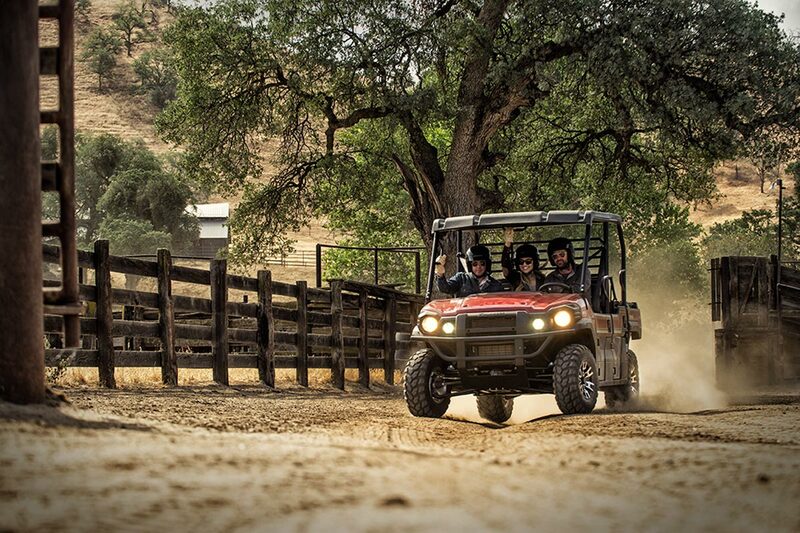 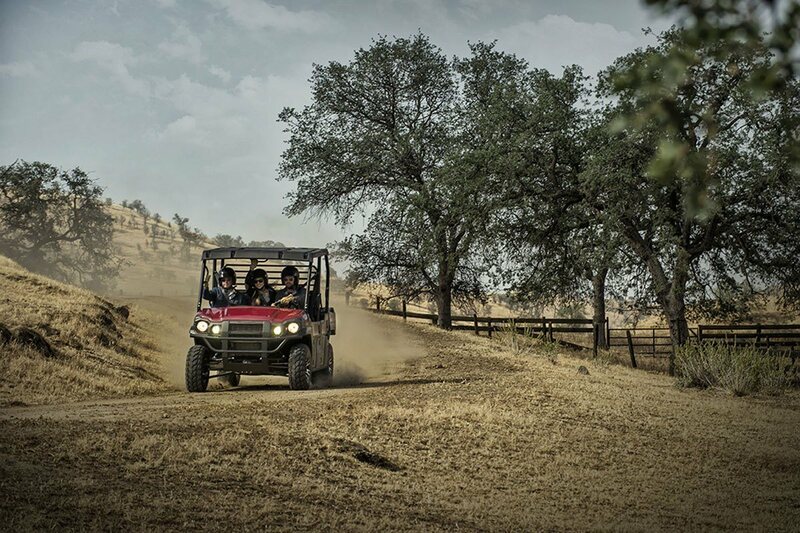 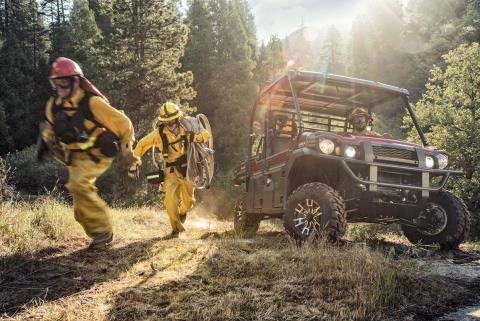 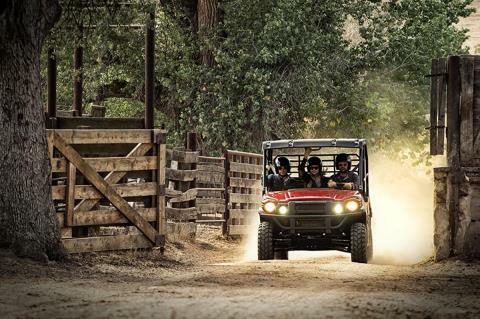 OUR FASTEST, MOST POWERFUL, SIX-PASSENGER MULE™ EVER: Massive torque (48.0 LB-FT) for impressive pulling power. 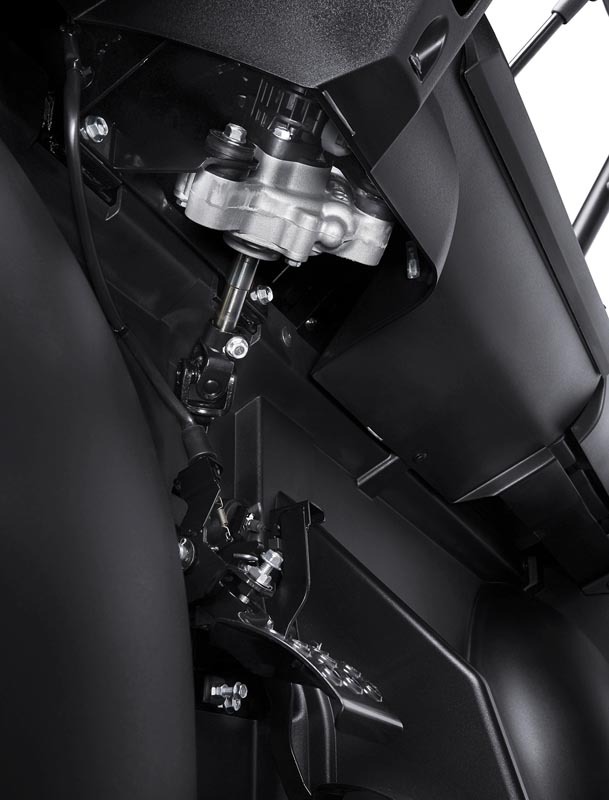 Continuously Variable Transmission (CVT) for on-demand torque. 2,000-lbs. 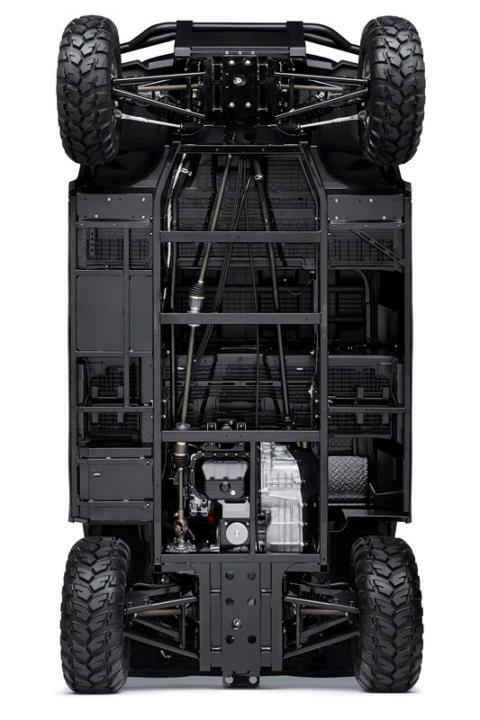 towing capacity.